Here comes famous Vaporesso Swag TC Kit! 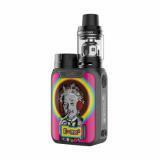 The Swag Kit comes with 80W SWAG MOD and a 3.5ml NRG SE Tank or 2ml NRG SE Mini Tank. With high performance TC/VW modes and powerful GT cores, Vaporesso Swag will bring you an amazing vaping with huge clouds and pure favor. The Vaporesso Swag Kit is a compact TC Kit with a 80W SWAG TC MOD and a 3.5ml NRG SE Tank (or 2ml NRG SE Mini Tank). 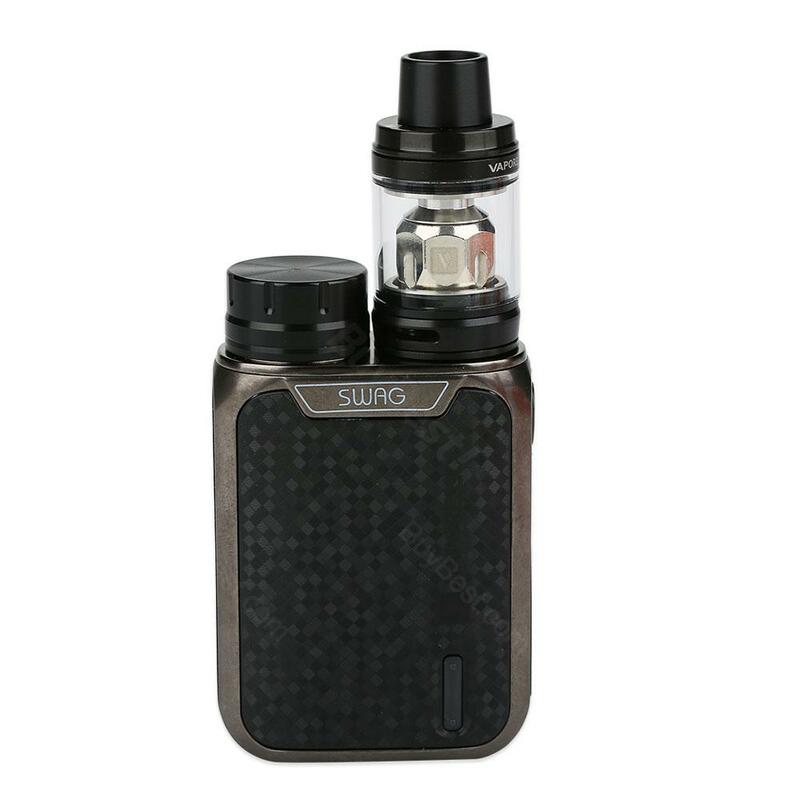 Inheriting from Vaporesso Revenger,, the SWAG Kit also adopts a OMNI Board 2.0 chip and supports various vaping modes - VW(H/N/S), CCW, CCT, VT(NI,TI,SS), TCR(M1,M2), RTC and BYPASS powered by single 18650 battery. Moreover, Vaporesso Swag adopts the IML(In Mold Label) design for greater wear resistance and making the SWAG a durable device. Paired with the NRG SE series tank which features twist open filling design, adjustable bottom airflow and innovative GT cores, Vaporesso Swag will bring you a magic vaping. • It doesn't come with e-juice or 8650 lithium-battery, which you need to buy separately. • You also can buy the replacement SWAG MOD, NRG SE tank and GT Coil in Buybest. ヘッドが切れたらどうにもならんのさ。SEE MORE 80W Vaporesso Swag TC Starter Kit review. This is the third vape I’ve bought and I love it! My boyfriend put me on to this vape and it will be my vape of choice as long as I vape! It has great smoke production, it’s adjustable, the coils are cheap and easy to find in stores (which I’ve found matters A LOT), it’s inexpensive, it’s small and easy to store, and it’s very durable. Best purchase ever! There are many functions, but simple to use! Good ergonomics! The comfortable in my hand, and large enough for gravity! High-quality products! The disassembly is simple, the battery fits very well! The display shows a lot of information, but it can be read.Very good atomizer for Dl use. Good taste and steam do it. The coil works well for a long time. ! The development is quality! Very good price! The Swag Kit has a great-looking shape and design. Super little kit , I recomend it. The Vaporesso Swag has a beautiful, compact form. It’s great for an EDC device. Envio rapido, funciona perfecto. Estoy bastante contento con la calidad y sabor del producto. Viene sin batería, recomiendo Samsung 25R. Setting is easy to deal with, the product came fast and I'm pleased with the product. First order 5 usd off, so it ended up at a low price. Would recommend! Swag produces huge clouds, AMAZING flavor, Worth ordering. It couldn't be any better. Quick shipping. Competitive price!